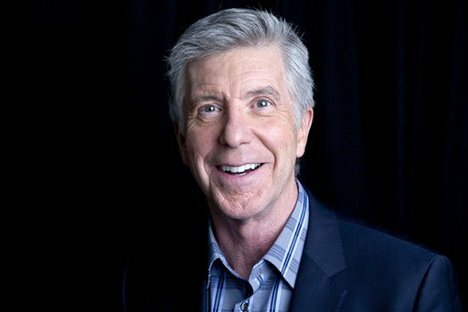 From a local station in Haverhill to Channel 4 to hosting morning drive on two big Boston radio stations, WBZ and WMJX, then hosting five national network TV shows including the immensely popular “Dancing With the Stars,” Tom Bergeron has achieved tremendous success in both radio and TV and is one of America’s most popular television hosts. Tom Bergeron began his Emmy Award-winning career in 1972 at 1490/WHAV in his hometown of Haverhill, Massachusetts. He went to WHEB-FM in Portsmouth NH, then landed a gig at WBZ-TV in Boston job doing the Mass Lottery numbers and reporting on “Evening Magazine.” In 1990, when Hall of Fame Inductee Dave Maynard retired, Tom took over the reins as host of morning drive on WBZ radio. When the Persian Gulf War broke out in 1991 WBZ dropped all the music…and it never returned. About a year later WBZ management decided that if they no longer played any music they didn’t need a morning DJ. Tom departed and was immediately hired to host “Morning Magic” on Magic 106.7 by Don Kelley, then VP/Programming at Magic, now President of the Hall of Fame. Tom proceeded to bring record-high ratings to Magic 106.7. In 1994 Tom was lured to network TV in New York to host “Breakfast Time” on the F/X network, which then became “Fox after Breakfast” on the FOX network. He was a fill-in anchor on ABC’s “Good Morning America” in 1997. Next stop: L.A. Tom became host of the new version of “Hollywood Squares” from 1998-2004. In 2001 he picked up a second show when he was hired as host of “America’s Funniest Videos” on ABC and continued in that role until 2014. When “Hollywood Squares” was canceled ABC had an idea that would become Tom’s best-known national role: host of ABC’s “Dancing with the Stars,” now in it’s 19th season and the #1 show on ABC-TV. Bergeron has also hosted a variety of projects from the “Miss America Pageant” to “The 33rd Annual Daytime Emmy Awards,” and the “Academy of Television Arts & Sciences Foundation’s 28th College Television Awards Gala.” He wrote a book entitled, “I’m Hosting As Fast As I Can.” Bergeron spends much of his free time volunteering at several charity events. He is the national celebrity spokesperson for the March of Dimes WalkAmerica and serves as the National Vice-President of the Muscular Dystrophy Association and co-host of the Jerry Lewis Muscular Dystrophy Association Telethon. Top is a confessed gym rat and enjoys running and riding his bike on the beach. He splits his time between Connecticut and California, and lives with his wife and two daughters.